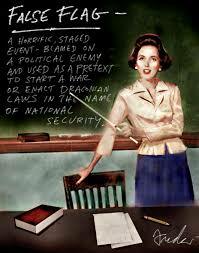 Were the biggest recent “terror attacks” actually false flags? –Charlie Hebdo, Paris, Nice, San Bernardino, Orlando–Dr. Kevin Barrett spoke about these recent suspected false flags on Tuesday Oct 25th at 3pm in the Redwood Gardens Community Room at 2951 Derby St, Berkeley. This event was originally scheduled for the Berkeley BFUU Fellowship Hall, but the current BFUU Board banned him from speaking. So listen to what Kevin has to say that is too hot to touch. You can watch the Live Stream below which also includes the slides. This event was live streamed by No Lies Radio on October 25, 2016. This show was broadcast on October 30, 2016. This entry was posted on Saturday, October 29th, 2016 at 2:27 pm	and is filed under 9/11, Anti-War, Education, False Flag/Fake Terror, Freedom, Geopolitics, Justice, Kevin Barrett, News, Politics, Protest, Regime Change, War Crimes. You can follow any responses to this entry through the RSS 2.0 feed.